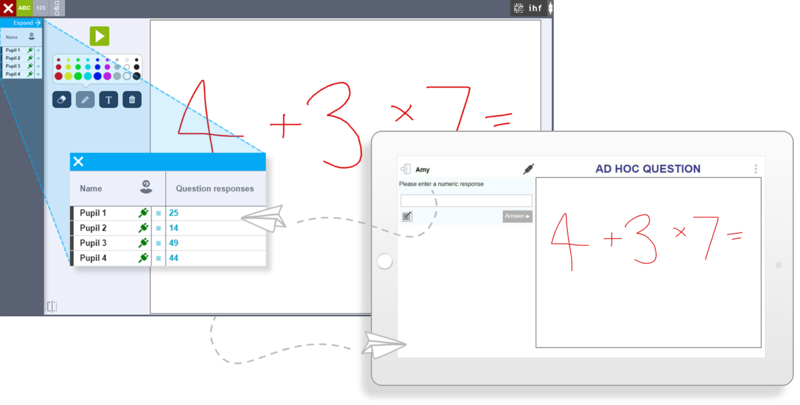 When the question is displayed in Teach Mode there are a number of annotation tools at the teacher’s disposal and the answers can be entered for marking and feedback. 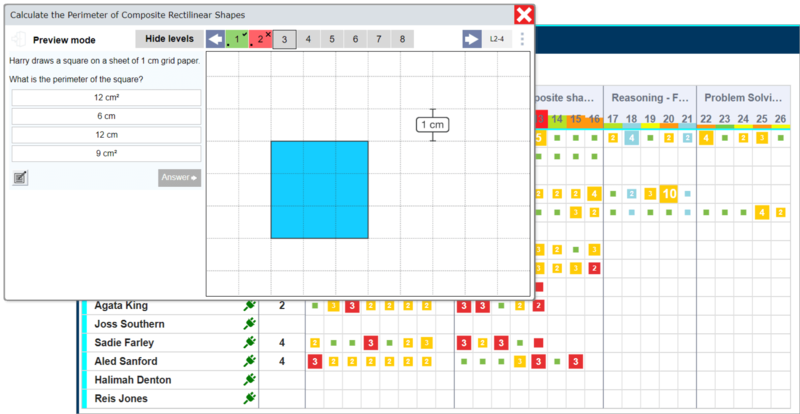 Don’t forget LbQ enables you to also add your own questions in Question Sets and these can also be opened up for use in Teach Mode. When the teacher starts the Ad hoc question it instantly appears on the pupil’s device so the pupils can enter their responses. All pupil responses appear on the LbQ responses screen so the teacher can gauge the learning or use the responses as part of the lesson. Further Ad-hoc questions can be used to reinforce a teaching point. Ad hoc questions might be used as part of regular teaching or to pause and intervene during a self- paced Question Set before allowing the self-paced-learning activity to continue. The information from Ad hoc mode is not stored. - LbQ Question Sets include a sequence of scaffolded questions that students work through at their own pace during lessons, so they learn without having to wait for others and they can progress without holding other learners up. This means that a class of same or mixed ability pupils can all be engaged at the same time to make the most of time available during lessons. It takes just a few seconds for pupils to join an LbQ lesson. Pupils simply need to enter a session Code into their LbQ App or web login page and they can then click on the Question Set that has been allocated by the teacher. Within a Self-Paced Question Set the teacher can set rules to automatically advance pupils to the next level if they have successfully answered a requisite number of questions. Up to 3 Self-Paced activities can be in operation concurrently during a lesson so that teachers can allocate to pupils and flexibly run Question Sets to cater for a range of abilities.